The number of women taking part in both clays and game shooting, such as grouse, in Scotland has risen steadily over the past few years, breaking the stereotypical male dominated image of country sports. 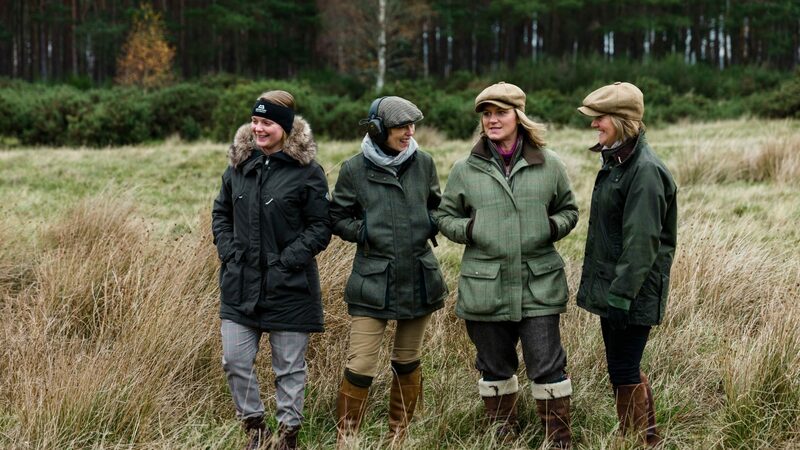 The British Association for Shooting and Conservation (BASC) has welcomed the influx of women into shooting sports in recent years and now has almost 11,000 women members, up 10 per cent on last year’s numbers. Grouse shooting in Scotland has seen an increase in female participation in line with this trend. The latest Home Office figures reveal that 5.87 per cent of certificate holders in the UK are now female, equating to 35,367. It is estimated that there are around 3,000 female shotgun certificate holders in Scotland. The establishment of organisations including the Scottish Ladies Shooting Club and Glad Rags & Cartridge Bags has been a catalyst in terms of increasing participation by women in Scotland. Glad Rags & Cartridge Bags was founded by Mhairi Morriss four years ago with the aim to make it easier for novice shots and women from all backgrounds to progress in the sport. Over the past four years Mhairi has organised over 54 events with 1300 attending and over 370 individual ladies having shot with the club. Cara Richardson, a member of BASC Council and BASC Scottish committee chair, said: “When I started shooting almost 30 years ago, it was unusual to see a woman in a clay or game day line-up. I’m thrilled to see how this has changed as the years have passed. 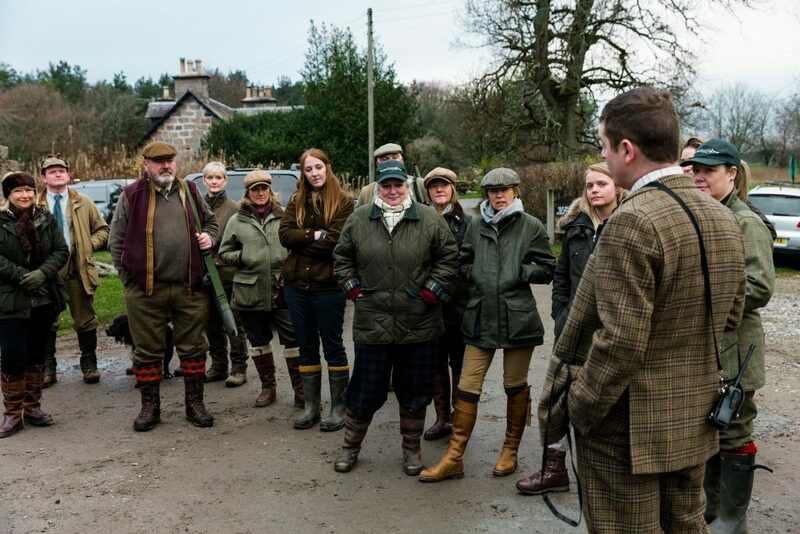 A lunchtime conversation with a fellow lady gun at a BASC Ladies game day in 2013 led to the formation of the Scottish Ladies Shooting Club. The way in which the club has grown since then is proof of the increased interest in shotgun shooting from women of all ages and backgrounds. Lesley Fleming, co-founder and leader of the Scottish Ladies Shooting Club, said: “We are witnessing a large increase in the number of ladies getting involved in the Scottish shooting sport scene. We tend to find novices start off shooting clays to perfect the skill of shooting before embarking on a walked-up day of game shooting. Many also get involved through beating or loading as an introduction to the sport and to gain an understanding of the terrain and what the day involves. Justine Muir from Cupar, Fife has been shooting game for the past three years. Justine Muir said: “I am a former city chick having grown up in Edinburgh and working as an accountant, which I still do, but my husband and I had a hankering seven years ago to move to the countryside to embrace rural living. It’s then that I first got into clays as my husband shot clays and it looked fun. I shot on and off but not regularly until I joined the Scottish Ladies Shooting Club. This allowed me to build experience and confidence and move onto game shooting. The safety aspect when shooting grouse is imperative and a real step up from clays as you need to understand the positioning of the dogs, beaters and gun safety, and that’s where joining the lady’s shooting club has been invaluable. Another keen shot is Sheila Eastwood from Bankfoot in Perth. Sheila is also a relatively newcomer to grouse shooting having got into the sport first shooting clays four years ago and shooting grouse for the past two years. “A lot of people still think shooting is for the elite, but it absolutely is not about money or class. I lived in a small village in Fife until my 20s and then moved to the city of Perth to pursue a career in banking. I was always interested in country pursuits, attending the game fair most years but had never picked up a gun. When I started working for an independent Scotch Whisky merchant and took on the role of organising corporate days for overseas clients, which included a day’s shooting, I was fascinated from the word go. “My husband has been involved in shooting for many years and encouraged me to apply for my shotgun certificate two years ago and we now go out shooting together. The establishment of ladies shooting clubs has really broken-down barriers, encouraging more ladies to participate in the sport. I have also found that on mixed shoot days male guns are very encouraging. There is very much a wide range of age and ability, with a lot of young girls becoming increasingly interested in the sport which is fantastic,” Sheila says. Ladies shooting clubs, along with sporting estates throughout the country, offer many different shooting packages designed to cater for varying levels of experience and interests, from clay shoots to mixed game including grouse, pheasant, partridge and deer stalking. And in my opinion shooting is all the better for it.